Rolls-Royce Motor Cars announced the introduction of Ghost V-Specification; a limited series of Ghost and Ghost Extended Wheelbase motor cars that will be available for customers to commission immediately. Ghost's defining characteristics; the exquisite 6.6-litre Rolls-Royce V12 engine," said Torsten Muller-Otvos, Chief Executive, Rolls-Royce Motor Cars. "Since its introduction in 2009, an extraordinary marriage of assured presence and remarkable driving dynamics has endeared Ghost to a new generation of highly discerning businessmen and women, ensuring the car's position as the statement of choice for a growing band of successful entrepreneurs around the world." At the heart of the Ghost's driving experience is its hallmark V12 engine.Acceleration is delivered with a characteristic immediacy and smoothness, propelling occupants from 0-100km/h in just 4.9 seconds with 80 per cent of power available from idle. This unique powertrain is celebrated with a 30 bhp/22 kw power increase on all Ghost V-Specification motor cars. V-Specification motif coachlines finish the exterior paint-scheme whilst customers can either choose from five specially selected exterior colours, or from Rolls-Royce's 44,000 hue palette. Optional visible chrome exhausts and 21-inch part-polished wheels add further expression to the car's dynamic promise. "Ghost and Ghost Extended Wheelbase have been the most successful models in India for Rolls-Royce to date. 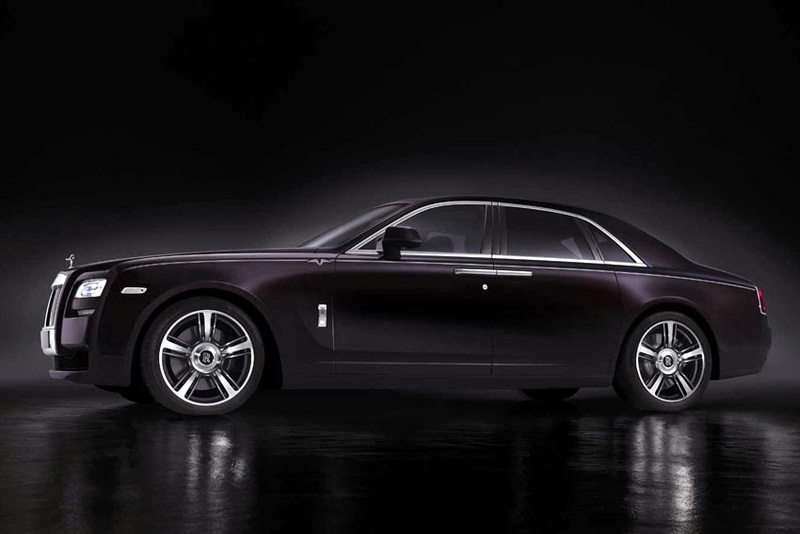 Ghost has been feted by the new maharajas of business, celebrities and other highly successful individuals," said Herfried Hasenoehrl, Rolls-Royce Motor Cars' General Manager for Emerging Markets. Ghost V-Specification will available in graphite, black sapphire, black kirsch, arctic white and infinity black colours. V-Specification pricing is from Rs. 30 lakh above a standard Ghost model.